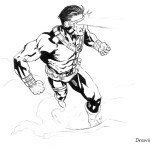 We created our site many years ago, and during this time we have created a huge number of drawing lessons about a variety of comic characters. 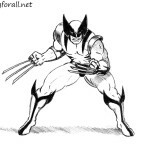 Among them are not only famous characters, such as Wolverine and Cyclops, but also lesser known ones. 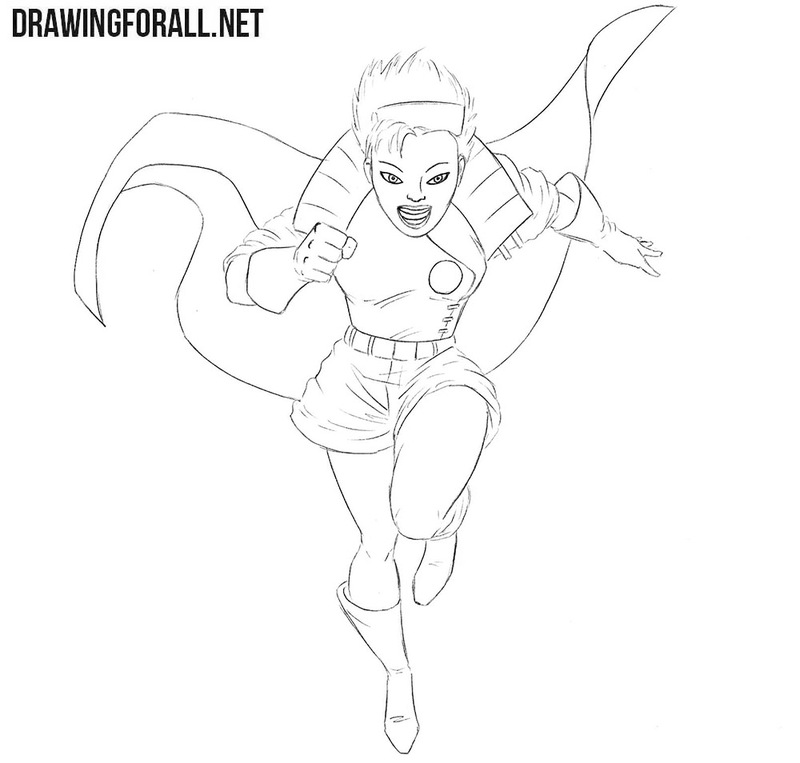 And today we want to draw a character that is known to many by the 90s animated series. 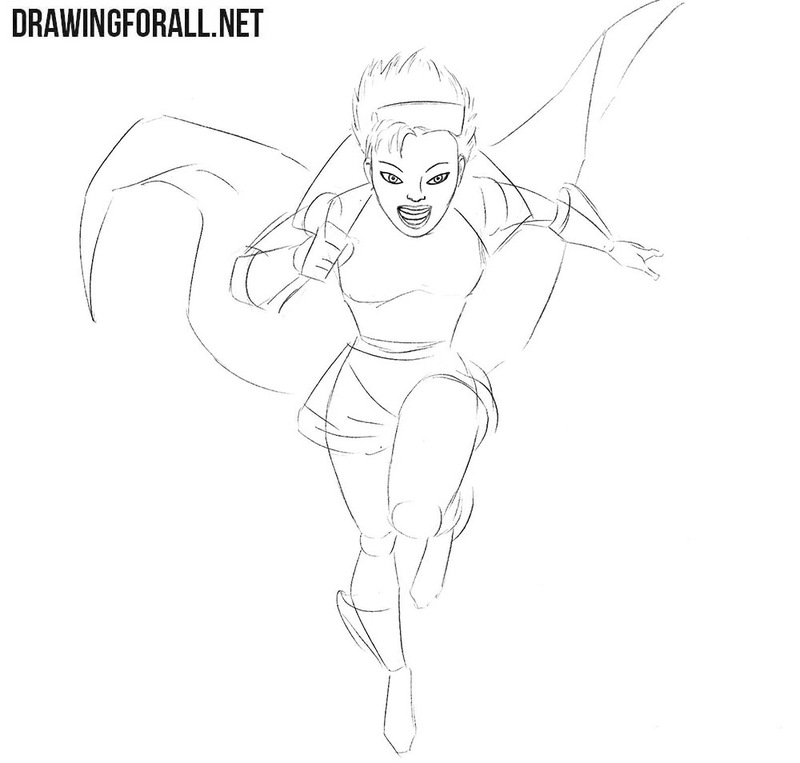 So let’s get down to the tutorial on how to draw Jubilee. We will start with the skeleton. First of all we sketch out the head in the form of an oval. Next, we sketch out the line of the spine. On the line of the spine we sketch out the chest and the pelvis. 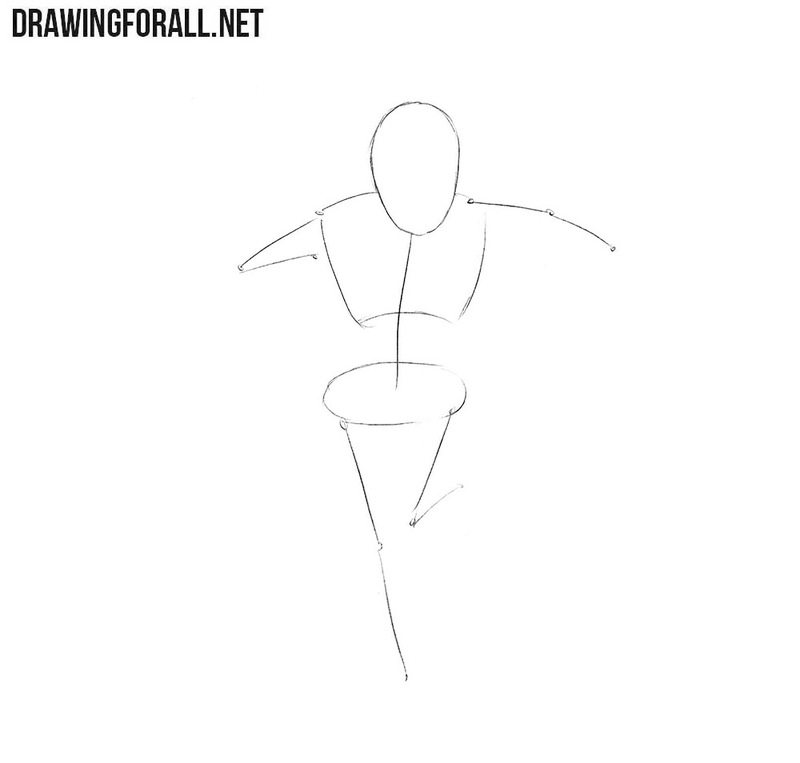 Using simple lines we outline the arms and legs. Do not forget that the lines in the first steps should be very light, that is, you should try not to press the pencil too hard. So let’s now add some volume to the skeleton of Jubilee. First we sketch out two intersecting lines on the face. After that, we sketch out the outlines of the torso, greatly narrowed at the waist. Next, with the help of simple geometric shapes, we outline the arms and legs. This step should also be made with very light lines. Now let’s work with the main details in our drawing. Let’s start with the head, sketching the outlines of the details of the face and hair of Jubilee, as shown in our example. 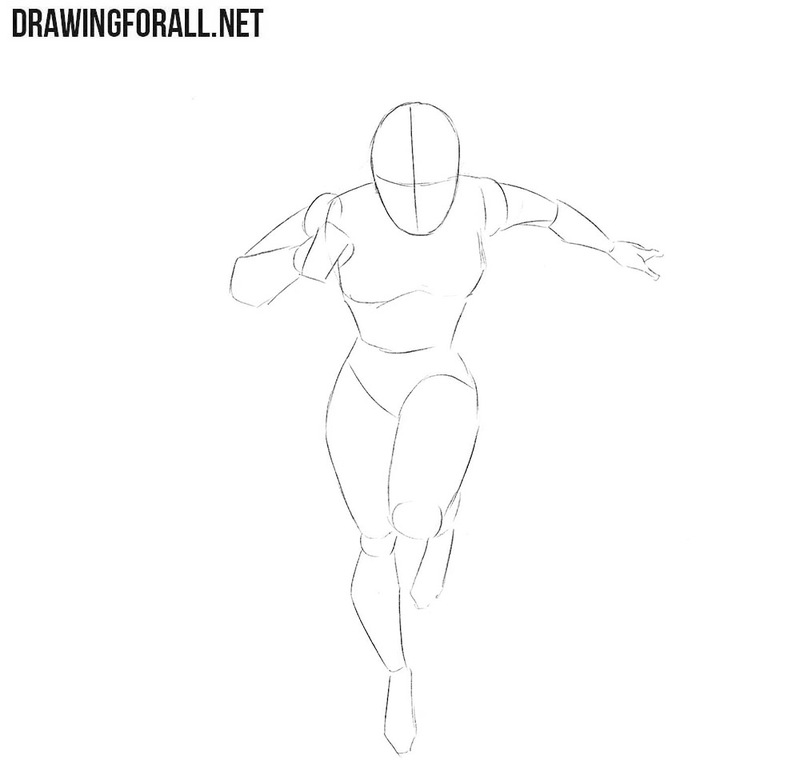 Next we move lower and sketch out the outlines of clothes, with the help of smooth and very light lines, which will be easy to erase in the following steps. Let’s now deal with the final details. Using clear and dark lines, we will gradually draw the outlines of the details of the face. Next, draw the characteristic hairstyle and outlines of the jaw. Remove all unnecessary guidelines from the face and proceed to the next step. 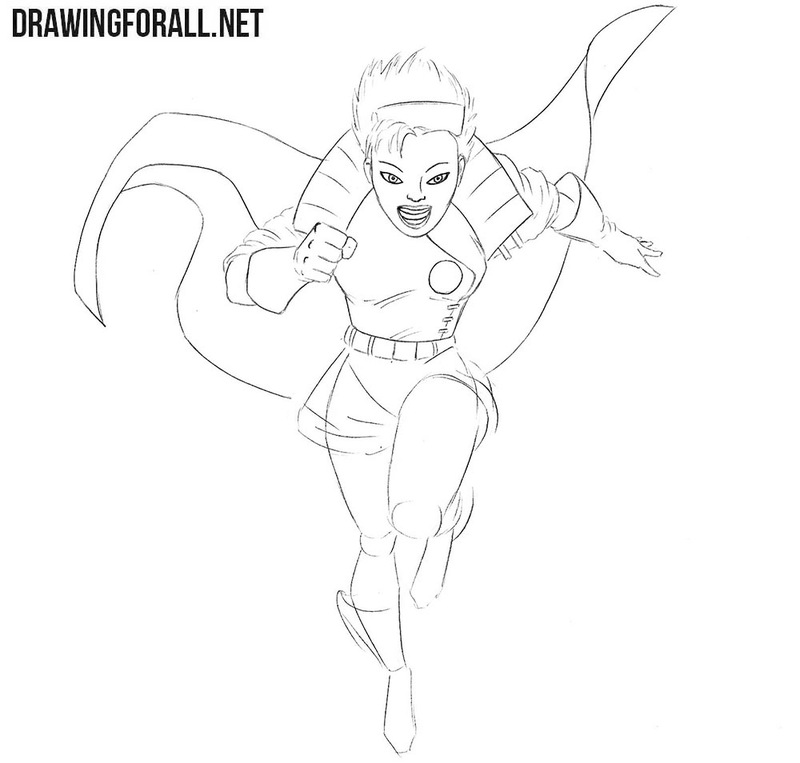 Now we move lower and begin to work on the details of the torso of Jubilee. 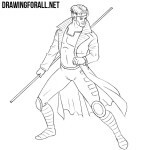 Using clear and dark lines, we carefully draw out the outlines of clothes on the body, as shown in our example. 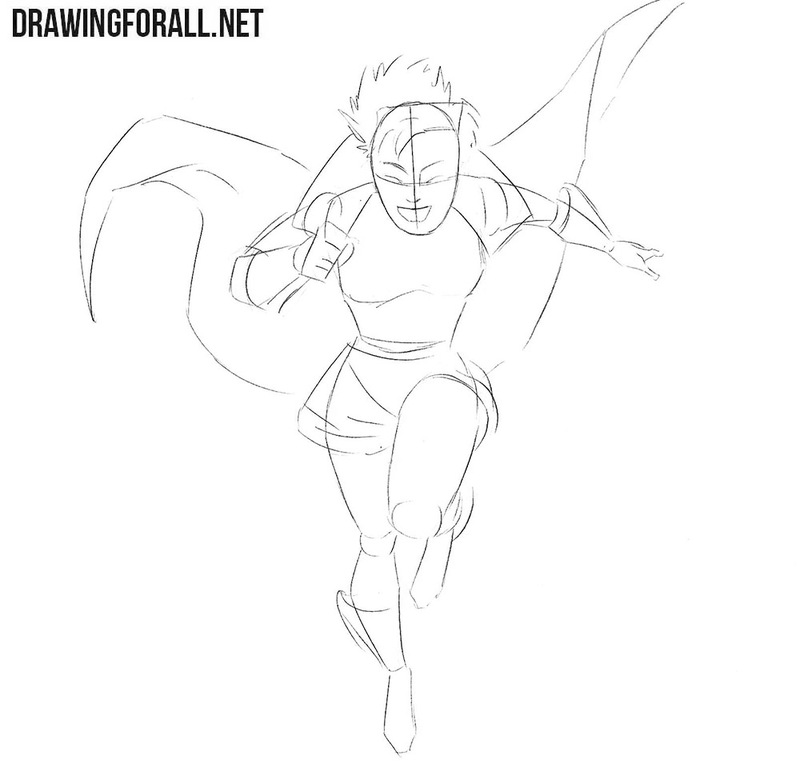 Try to repeat all the lines and elements of clothing. Let us now proceed to the arms of Jubel. Here is exactly the same principle, that is, with the help of clear and dark lines, we need to draw out the outlines of the arms, not forgetting to draw all the features and folds of clothing. Erase all the unnecessary guidelines and move to the next step. And it is time to do drawing feet. Continuing the line of the torso gently draw the outlines of shorts and legs. Note that the legs should be tight enough in the knee area. Draw shoes, add all the necessary folds, erase all the remaining guidelines and move to the last step. To make our drawing complete, let’s add shadows. Shadows will make our drawing more voluminous and give a complete look. Here we will add the traditional contrasting and black shadows for comics. It is not difficult at all, you must first outline the contours of the shadows, and then paint them in solid black. 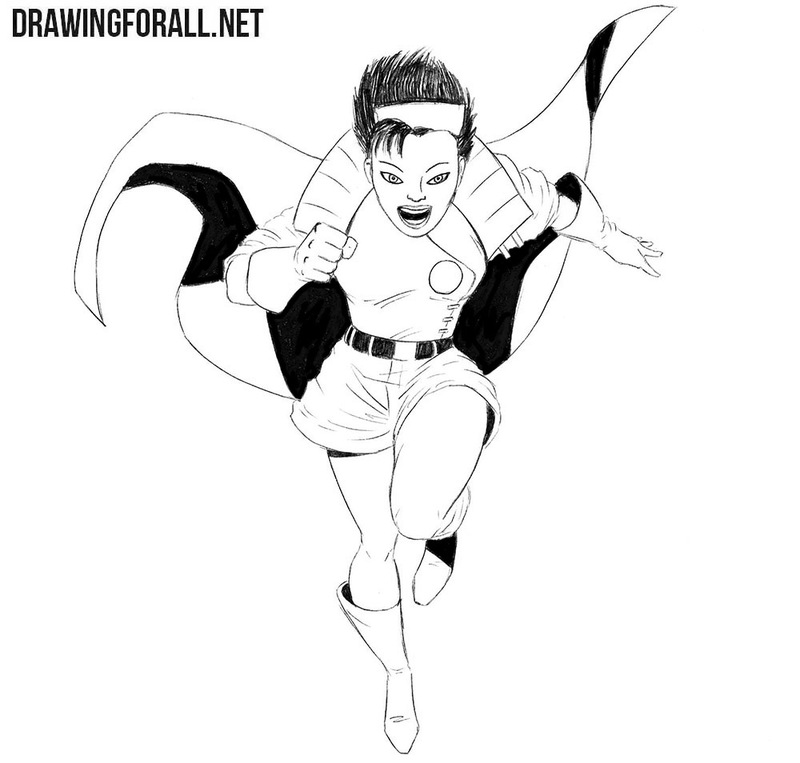 It was a drawing lesson dedicated to how to draw Jubilee from the X-Men. 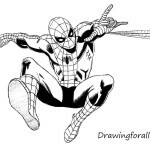 If you want us to show you how to draw your favorite comic book character, then write us about it in the comments to this article.